Don't shred your junk papers - Recycle!! Paper shredding is a common practice in offices where unwanted and sometimes important papers are shredded to destroy data and save it for being misused by someone. This practice is since long in vogue and continues till date - but may not in future. You would wonder why? 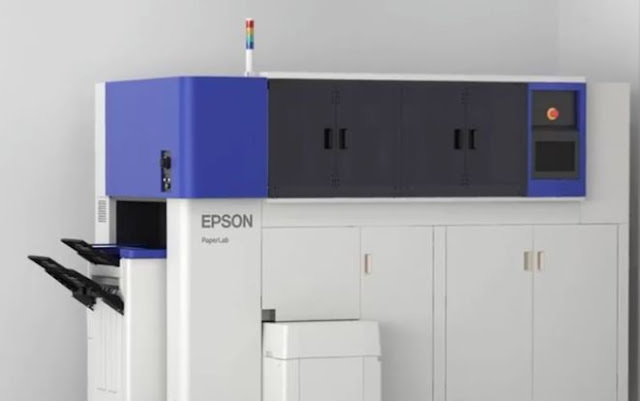 Well now Epson has come up with a novel idea of recycling the unwanted papers and drafts right there in the office using their innovative recycling machine. This machine is a big step towards waste management and avoidance of littering of environment.